Nestled in the historic market town of Kirkby Lonsdale, The Orange Tree Hotel provides the perfect base from which to explore the surrounding Lake District and Yorkshire Dales national parks. Our family run establishment typifies everything you might expect of an English country pub; warm open fires, oak beams and an intimate, relaxed atmosphere. We are renowned for the quality of our sumpyuous, hearty meals and our impressive range of beers. 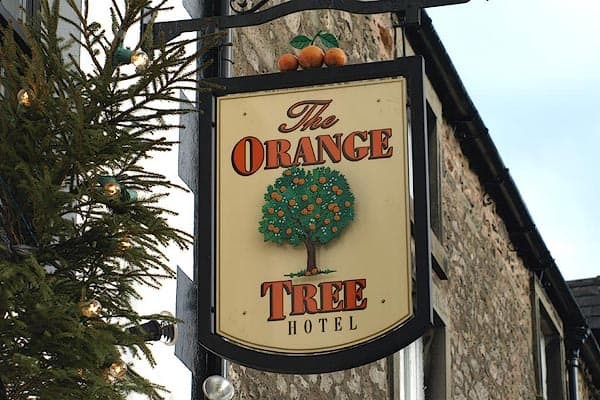 Whether you wish to stay in luxury accommodation or simply need a refreshing pint of traditional cask ale, The Orange Tree is your destination.